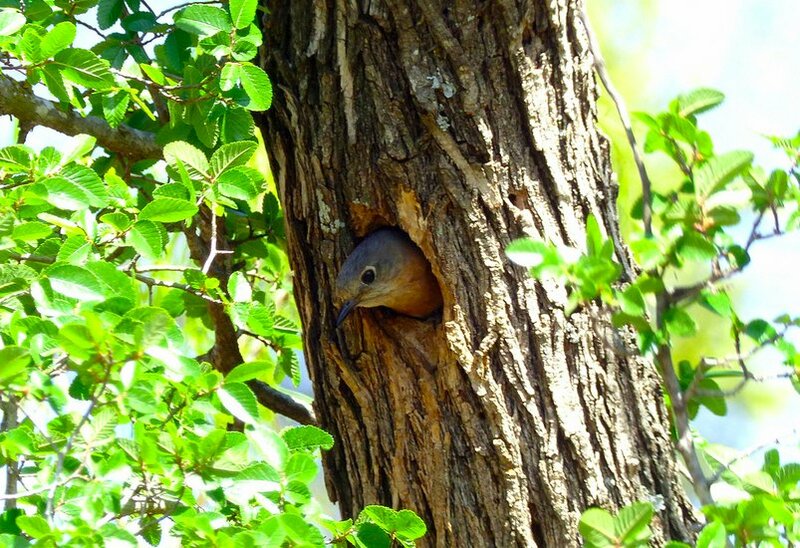 Eastern bluebird nesting in a tree. 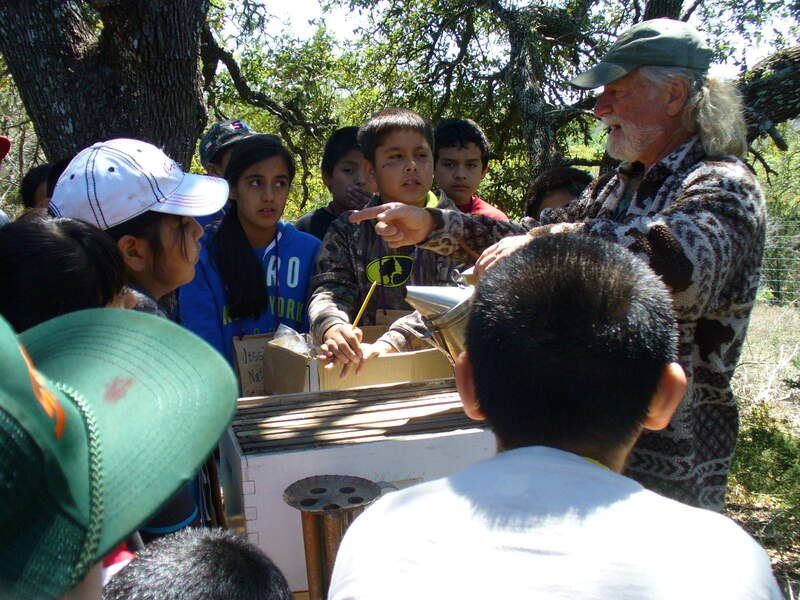 The nature center recently had the pleasure of hosting fifth graders from Highland Lakes and second graders from Lago Vista, along with parents and teachers. Led by nature center members, they hiked along the lake and trails, hunting for beaver signs, lovely song birds (such as the bluebird above), interesting water birds, unique rock formations, wildflowers and other cool Texas plants. Lichen vs Moss vs Rock, with naturalist Mike Parker. 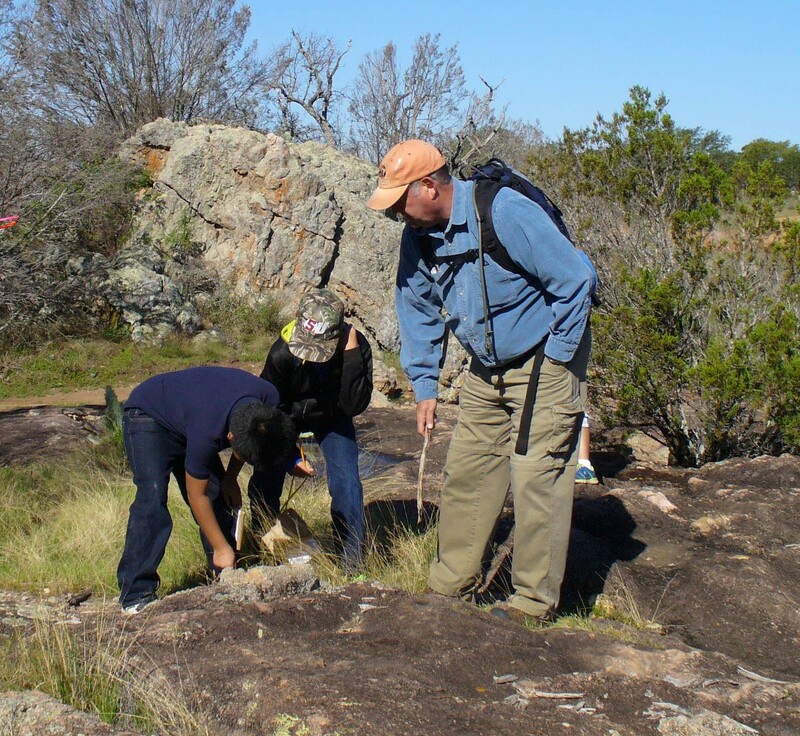 For the day, they became the naturalists, complete with filling in their own field guides, exploring the wilds of the Texas hill country. 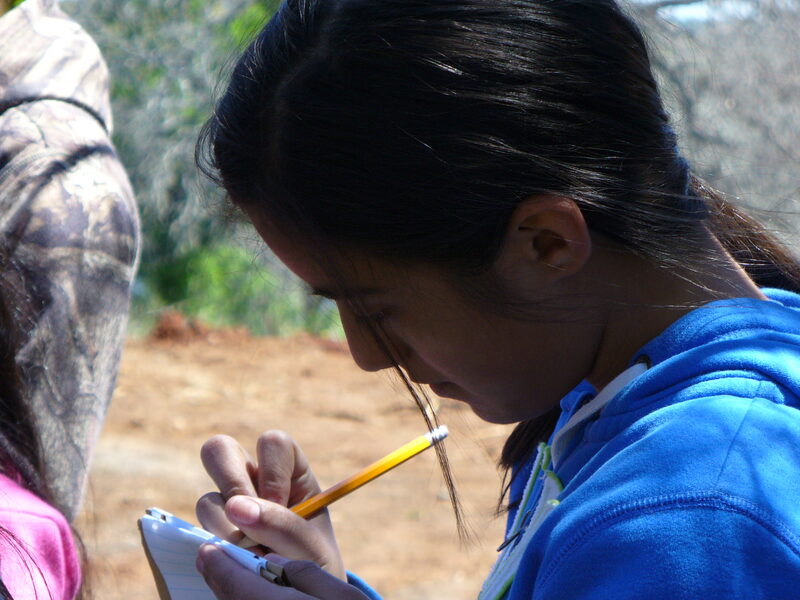 Young naturalists working on their field guides. They found different types of cactus, and even looked at bugs that spend their entire lives on cactus and produce an amazing red dye. They discovered a tree that makes Texas BBQ so delicious, the mesquite tree, and a plant whose berries make wonderful jelly, and whose leaves were used by Indians to make a tea for upset tummies. A young scientist hard at work! 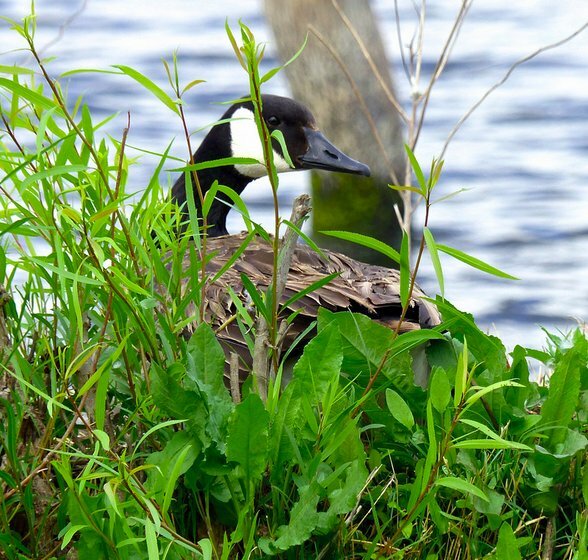 They even found an usual resident for this time of the year: a pair of Canadian geese nesting on an island near the lake shore. 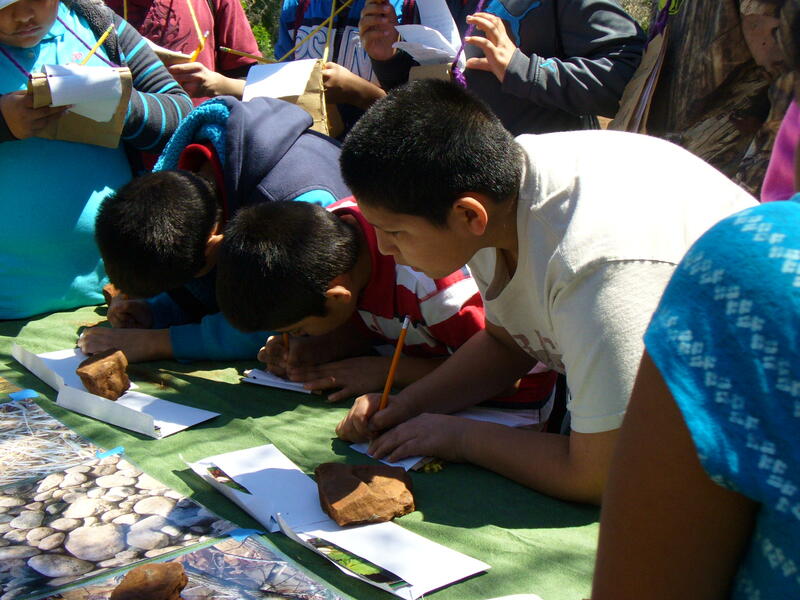 These young naturalists also spent time at different nature stations. 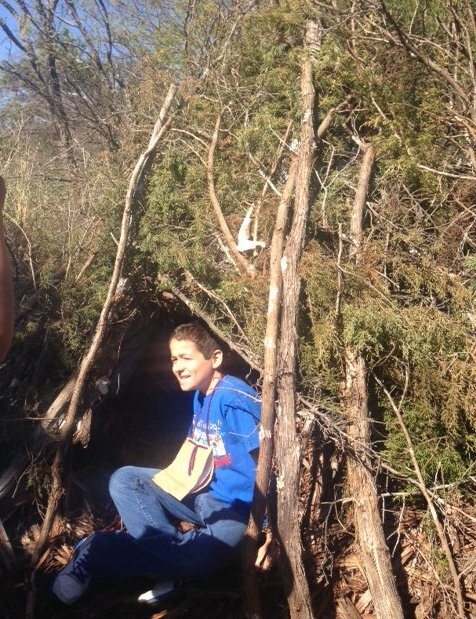 They learned about beavers and their habitat, including a model of a beaver den, which they could explore. Good thing this is a model, otherwise he’d be very wet! 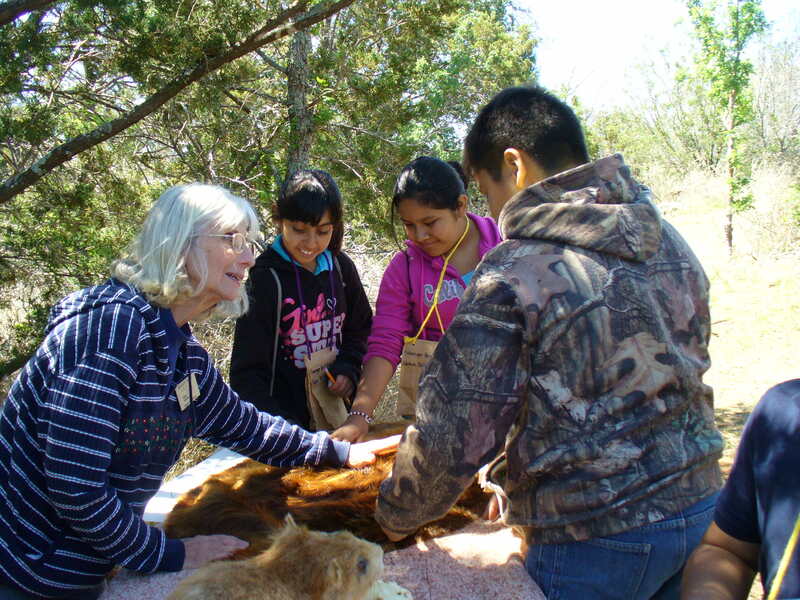 Learning about how a beaver fur protects them in and out of the water, with naturalist Sharon Drake. At another station, they learned about how animals become masters of camouflage to survive. 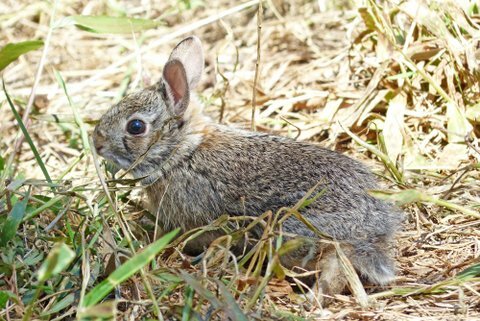 Some blend in with their environment such as rabbits whose fur blends in with the shadows in the forest, or walking sticks shaped like the branches and twigs they climb. Swallowtail caterpillars actually mimic a common green snake to discourage those who may think they’re a tasty morsel. For more, try this link. 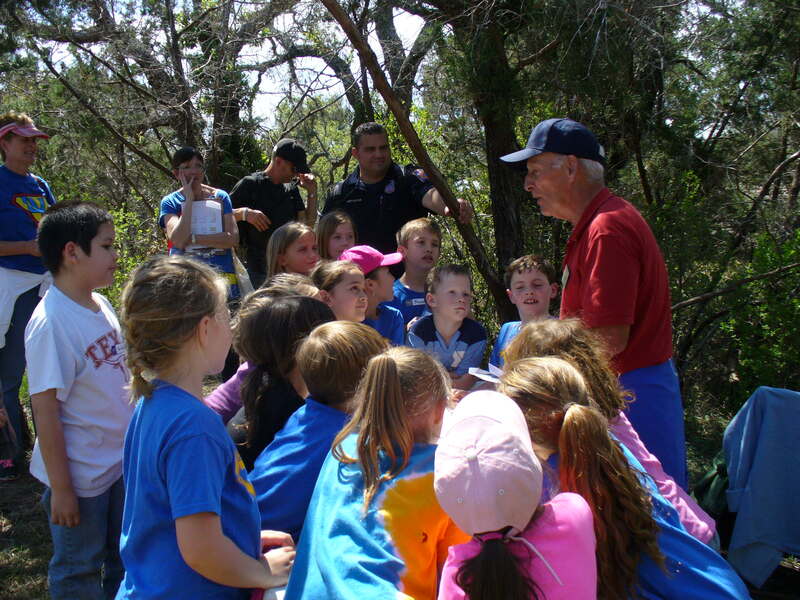 Learning about the importance of camouflage, with naturalist Phil Wyde. At the third station, bees were the sweet topic. 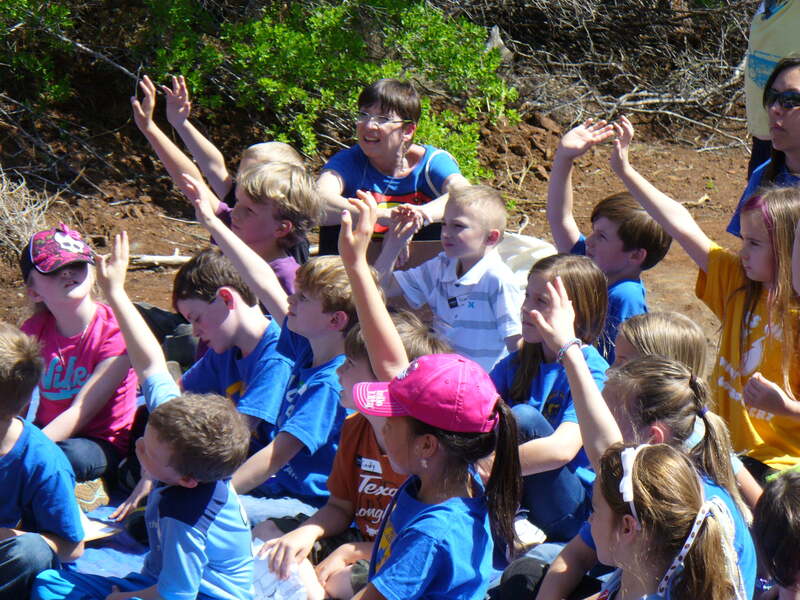 They discussed the importance of bees in the environment, how they pollinate plants, make honey, and build their hives. Sadly, honey bees colonies are endangered, and are less than half of what they were in the 1940s. Did you know that more that 85% of plant species require pollinators, and that one of every three bites of food we eat comes from plants that depend on honey bees and other pollinators? Without bees, how would we feed our families? While scientists are still trying to figure it all out, there are some simple things each of us can do (link). Right on! The importance of the honey bee, with naturalist Billy Hutson. 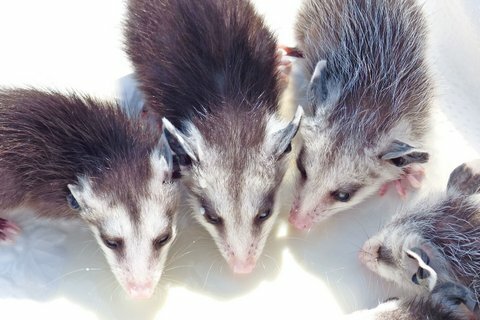 Miss Arlene, our friend from the wildlife rehabilitation center, showed the children baby opossums whose mother had been hit by a car. They were still too young to be released. She also brought young bunnies who were ready to be released back in to the wild, which she did. She taught the children how a mother rabbit builds its nest, and brought a nest roof made of grasses. She showed them how to use flour and a sieve to see the tracks of creatures who visit their yard. Baby rabbit heading home to the wild. As always, the children were excited to learn about these wild creatures and how to be kind and careful when around them. By the end of the day, the children, parents and teachers were tired but full of all they had seen and learned. One student commented that he thought it was going to be boring, but he’s really glad he came and wanted to know when he could come again! All in all, a very good day! Previous PostBrownies have an exciting day!Next PostHelp! We’re being invaded!